Welcome to www.ctganalysis.com. This is an academic sharing platform. CTG-OAS is an open-access software for analyzing cardiotocography (CTG) signals. The software is developed via Matlab. The main aim of this software is to ensure a computational platform for research purpose. 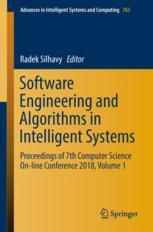 The significant processes such as preprocessing, feature transform and classification in terms of the automated CTG analysis have been embedded into the software to develop new algorithms. Background: Electronic fetal monitoring (EFM) is widely applied as a routine diagnostic tool by clinicians using fetal heart rate (FHR) signals to prevent fetal hypoxia. However, visual interpretation of the FHR usually leads to significant inter-observer and intra-observer variability, and false positives become the main cause of unnecessary cesarean sections. Goal: The main aim of this study was to ensure a novel, consistent, robust, and effective model for fetal hypoxia detection. Methods: In this work, we proposed a novel computer-aided diagnosis (CAD) system integrated with an advanced deep learning (DL) algorithm. For a 1-dimensional preprocessed FHR signal, the 2-dimensional image was transformed using recurrence plot (RP), which is considered to greatly capture the non-linear characteristics. The ultimate image dataset was enriched by changing several parameters of the RP and was then used to feed the convolutional neural network (CNN). Compared to conventional machine learning (ML) methods, a CNN can self-learn useful features from the input data and does not perform complex manual feature engineering (i.e., feature extraction and selection). Results: Finally, according to the optimization experiment, the CNN model obtained the average performance using optimal configuration across 10-fold: accuracy = 98.69%, sensitivity = 99.29%, specificity = 98.10%, and area under the curve = 98.70%. Conclusion: To the best of our knowledge, this approached achieved better classification performance in predicting fetal hypoxia using FHR signals compared to the other state-of-the-art works. Significance: In summary, the satisfied result proved the effectiveness of our proposed CAD system for assisting obstetricians making objective and accurate medical decisions based on RP and powerful CNN algorithm. Cardiotocography (CTG) is applied routinely for fetal monitoring during the perinatal period to decrease the rates of neonatal mortality and morbidity as well as unnecessary interventions. The analysis of CTG traces has become an indispensable part of present clinical practices; however, it also has serious drawbacks, such as poor specificity and variability in its interpretation. The automated CTG analysis is seen as the most promising way to overcome these disadvantages. In this study, a novel prognostic model is proposed for predicting fetal hypoxia from CTG traces based on an innovative approach called image-based time-frequency (IBTF) analysis comprised of a combination of short time Fourier transform (STFT) and gray level co-occurrence matrix (GLCM). More specifically, from a graphical representation of the fetal heart rate (FHR) signal, the spectrogram is obtained by using STFT. The spectrogram images are converted into 8-bit grayscale images, and IBTF features such as contrast, correlation, energy, and homogeneity are utilized for identifying FHR signals. At the final stage of the analysis, different subsets of the feature space are applied as the input to the least square support vector machine (LS-SVM) classifier to determine the most informative subset. For this particular purpose, the genetic algorithm is employed. The prognostic model was performed on the open-access intrapartum CTU-UHB CTG database. The sensitivity and specificity obtained using only conventional features were 57.33% and 67.24%, respectively, whereas the most effective results were achieved using a combination of conventional and IBTF features, with a sensitivity of 63.45% and a specificity of 65.88%. Conclusively, this study provides a new promising approach for feature extraction of FHR signals. In addition, the experimental outcomes showed that IBTF features provided an increase in the classification accuracy. Cardiotocography (CTG) comprises fetal heart rate (FHR) and uterine contraction (UC) signals that are simultaneously recorded. In clinical practice, a visual examination is subjectively performed by observers depending on the guidelines to evaluate CTG traces. Owing to this visual assessment, the variability in the interpretation of CTG between inter- and even intra-observers is considerably high. In addition, traditional clinical practice involves different human factors that distort the quantitative quality of the evaluation. Automated CTG analysis is the most promising way to tackle the main shortcomings of CTG by providing reproducibility of the evaluation as well as the quantitative results. In this study, open-access software (CTG-OAS) developed with MATLAB® is introduced for the analysis of FHR signals. The software contains important processes of the automated CTG analysis, from accessing the database to conducting model evaluations. In addition to traditionally used morphological, linear, nonlinear, and time-frequency features, the developed software introduces an innovative approach called image-based time-frequency features to characterize FHR signals. All functions of the software are well documented, and it is distributed freely for research purposes. In addition, an experimental study on the publicly accessible CTU-UHB database was performed using CTG-OAS to test the reliability of the software. The experimental study obtained results that included an accuracy of 77.81%, sensitivity of 76.83%, specificity of 78.27%, and geometric mean of 77.29%. These fairly promising results indicate that the software can be a valuable tool for the analysis of CTG signals. In addition, the results obtained using CTG-OAS can be easily compared to different algorithms. Moreover, different experimental setups can be designed using the tools provided by the software. Thus, the software can contribute to the development of new algorithms. Electronic fetal monitoring (EFM) device which is used to record Fetal Heart Rate (FHR) and Uterine Contraction (UC) signals simultaneously is one of the significant tools in terms of the present obstetric clinical applications. In clinical practice, EFM traces are routinely evaluated with visual inspection by observers. For this reason, such a subjective interpretation has been caused various conflicts among observers to arise. Although the existing of international guidelines for ensuring more consistent assessment, the automated FHR analysis has been adopted as the most promising solution. In this study, an innovative approach based on deep convolutional neural network (DCNN) is proposed to classify FHR signals as normal and abnormal. The proposed method composes of three stages. FHR signals are passed through a set of preprocessing procedures in order to ensure more meaningful input images, firstly. Then, a visual representation of time-frequency information, spectrograms are obtained with the help of the Short Time Fourier Transform (STFT). Finally, DCNN method is utilized to classify FHR signals. To this end, the colored spectrograms images are used to train the network. In order to evaluate the proposed model, we conducted extensive experiments on the open CTU-UHB database considering the area under the receiver operating characteristic curve and other several performance metrics derived from the confusion matrix. Consequently, we achieved encouraging results. Cardiotocography is a monitoring technique providing important and vital information on fetal status during antepartum and intrapartum periods. The advances in modern obstetric practice allowed many robust and reliable machine learning techniques to be utilized in classifying fetal heart rate signals. The role of machine learning approaches in diagnosing diseases is becoming increasingly essential and intertwined. The main aim of the present study is to determine the most efficient machine learning technique to classify fetal heart rate signals. Therefore, the research has been focused on the widely used and practical machine learning techniques, such as artificial neural network, support vector machine, extreme learning machine, radial basis function network, and random forest. In a comparative way, fetal heart rate signals were classified as normal or hypoxic using the aforementioned machine learning techniques. The performance metrics derived from confusion matrix were used to measure classifiers’ success. According to experimental results, although all machine learning techniques produced satisfactory results, artificial neural network yielded the rather well results with the sensitivity of 99.73% and specificity of 97.94%. The study results show that the artificial neural network was superior to other algorithms.